Beautiful pictures of you. Love this casual look on you. 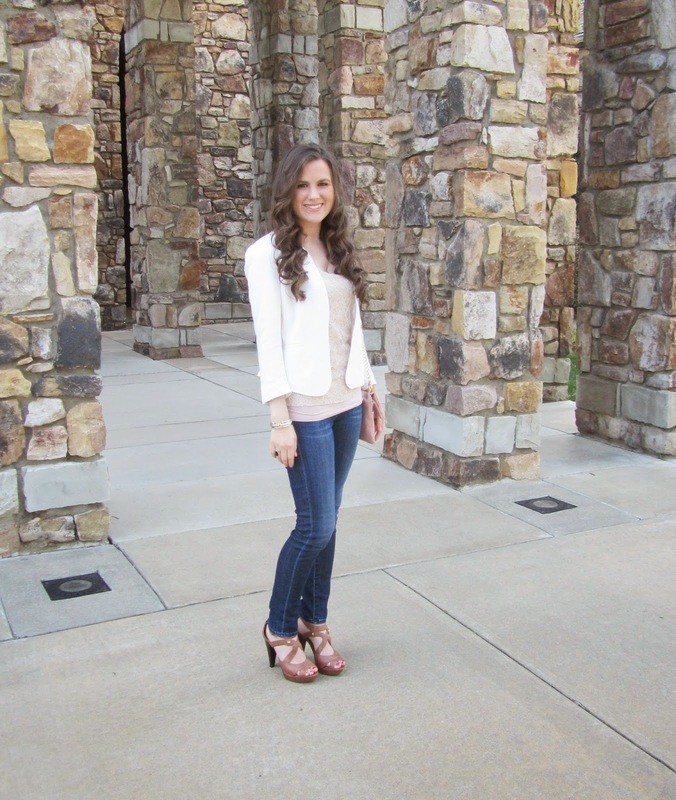 I love your white blazer! Such a cute outfit! 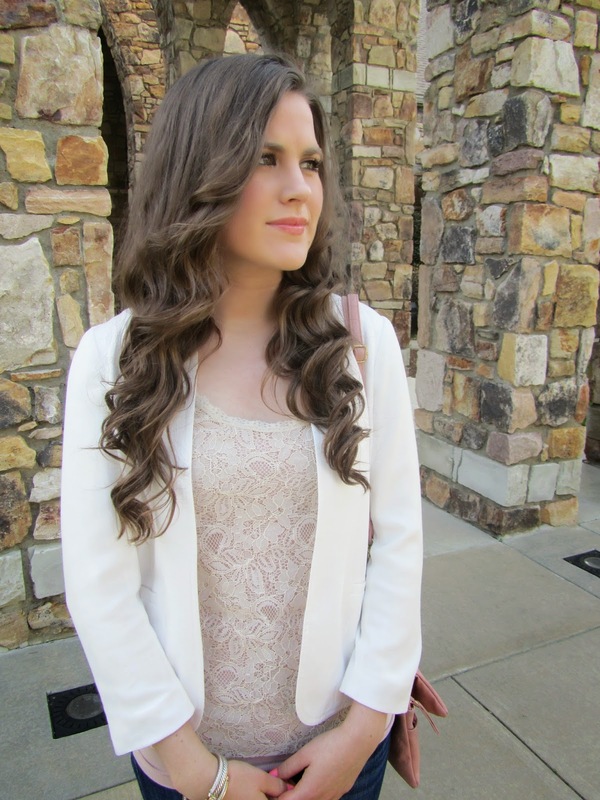 Love your lace top and blazer! Love the details, especially on the blazer!